Since I now have a little one of my own, I figured it might be fun to create a gift guide for the tykes in your life. Some of the items I already own, others I dream of owning and even more that I can’t wait to own as Evie gets older! 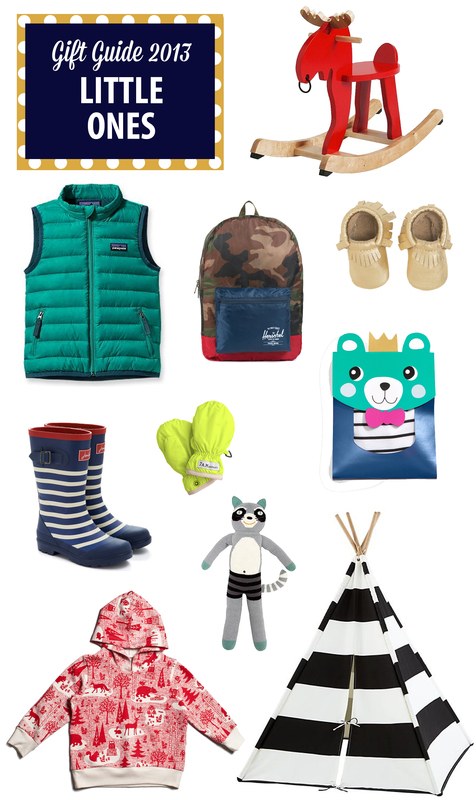 This entry was posted in Gifts, Holidays, Kids and tagged bla bla kids, Freshly Picked, gift guide, H&M, Hershel, IKEA, J.Crew Baby, Joules, Land of Nod, little ones, Patagonia, Winter Water Factory. Bookmark the permalink.